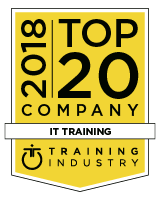 Firebrand Training has been named in the Top 20 IT Training Companies in the World by TrainingIndustry.com every year since 2010. Firebrand Training was honoured with the ‘(ISC)2 Official Training Provider Recognition Award 2018’ at Infosec Europe. This award recognises Firebrand's accelerated training across (ISC)²’s comprehensive certification portfolio, which includes industry-leading certifications like CISSP, CCSP and SSCP. “The Recognition Award is richly deserved, and we look forward to furthering our partnership across the increasingly wide range of education programmes available now and in development over the coming years. 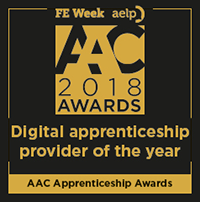 Firebrand Training has been named Digital Apprenticeship Provider of the Year 2018 at the first AAC Apprenticeship Awards. The award recognises Firebrand’s instrumental work in bringing Digital Apprenticeships to the forefront of the UK economy. Chosen from over 250 colleges, training providers and employers across the UK, the Digital Apprenticeship Provider of the Year Award acknowledges providers delivering the highest level of digital apprenticeship programmes. The awards, held in association with Chartered Management Institute (CMI), were hosted at the Annual Apprenticeship Conference in Birmingham on March 22 and recognise the best in apprenticeship provision. 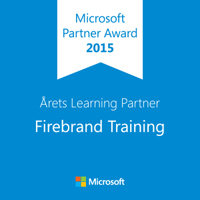 Firebrand Training Nordics has been named Microsoft Learning Partner of the Year. We are now the first partner to receive the award five times. Criteria for the award included: customer satisfaction, growth and skills development. Frank Højgaard, Managing Director, explains: "I'm very proud and happy to receive the award on behalf of our great team at Firebrand Training. I am very proud of our employees who have provided the best and most innovative training and certification products on the market. We are also very happy to receive recognition of the Firebrand Academy, which we launched last year and has already made a real difference by adding new and skilled employees needed in the IT industry." Lars Bell, Senior Director, Sales & Partners at Microsoft Denmark said: "Firebrand is this year's Microsoft Nordic Learning Partner 2015 because they proactively created a completely new training product in an area of the market where there has been new demand. In addition, Firebrand Training has taken the initiative to develop a new concept – Firebrand Academy. This solves a supply problem in the market, whilst training and qualifying candidates to work with Microsoft technology within both customers and partners." In 2017 Firebrand Training picked up the EC-Council Accredited Training Centre of the Year Award for a record ninth consecutive year. Firebrand was selected from EC-Council’s Training Partner network which spans the globe with over 700 training centres across 107 countries. Firebrand instructor Richard Millett was also named in the Instructor Circle of Excellence in 2016, for the third time. 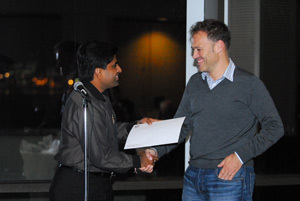 He had also previously achieved the Instructor of the Year award in 2014. Firebrand Nordics has also previously won Newcomer of the Year from EC-Council. 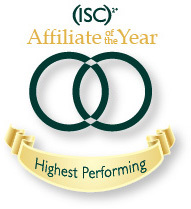 Firebrand Training has again been named “Highest Performing Affiliate of the Year – EMEA” by (ISC)². The major security association helps companies recognise organisations and individuals who are knowledgeable in security through the CISSP, CSSLP and SSCP certifications. Firebrand Training was been recognised by PECB at the PECB Insights Conference held in Montreal June 27-30, 2017. 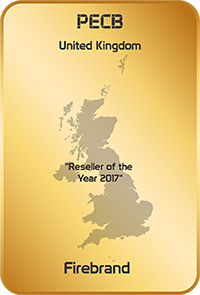 At the conference, Firebrand was awarded the PECB UK Reseller of the Year award. PECB UK and Ireland Managing Director, Graeme Parker, said “Firebrand is an excellent business partner, focussed on high quality and innovate delivery, Firebrand continue to be successful at organising and delivering first class PECB events on a consistent basis. I am delighted that Firebrand is a deserving winner of this award”. The PECB Gala was hosted to acknowledge the significant contribution of partners in PECB’s global reseller network who have outperformed their peers and provided excellent customer satisfaction. Firebrand is a PECB Authorized Partner (Platinum) and delivers official PECB courses, including accelerated ISO training and Certified Data Protection courses. 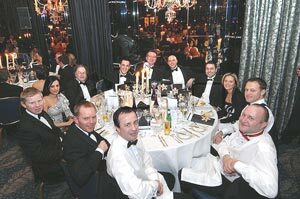 We are proud to announce that Firebrand Training had another successful evening at the Institute of IT Training's annual award ceremony on 5th February 2009. Firebrand Training picked up Bronze in the prestigious 'Training Company of the Year' category. In recognition of his outstanding achievements our Training Manager Graeme Phillips was awarded Silver in the 'Training Manager of the Year' category. In addition, our exceptional facilities were finalists in the 'Learning Facilities of the Year' category. The addition of these accolades reinforces our obsessive dedication to quality and customer satisfaction. Our expanding trophy cabinet is a source of pride throughout Firebrand Training and is used as a benchmark for continuous improvement. We are delighted to announce that at the Institute of IT Training's annual awards ceremony at the Dorchester Hotel on the 7th February 2008, Firebrand Training won the Gold Award for "Training Company Of The Year" for the third year running. We are the first training provider ever to have won this award twice, yet alone three times. We additionally won "Learning Centre Of The Year" for the second year in a row. These accolades from our own industry recognise our passion in striving to give you the very best training experience humanly possible. "Firebrand Training has made a highly successful transition from being a franchise to a self-contained business while clearly retaining the effectiveness of its business model and maintaining its market presence. This year has been the most significant for the company and while engineering the complete rebrand and rewrite of all its courseware the company has without external investment shown significant profitability and increase in market penetration having supplied training to over half of the FTSE100 companies. The company is now engaged in an ambitious program of course development and are currently releasing 2-3 courses per month. The holistic accelerated learning model provides a focused business benefit for its clients, including several major companies delivering effective skills and knowledge transfer in a concise time frame. All training is delivered on a residential basis at the company's dedicated facilities in the UK which provide for all the students' needs including an exemplary level of catering and all round care whilst progressing through their selected programs. The management team articulated a very clear strategic vision and through sophisticated reporting metrics employed across a range of data points demonstrated an exemplary level of client satisfaction. The company's high industry standing is corroborated through independent research gaining excellence awards and vendor partner training status. The judging panel recognised the company's achievements in going through a significant business change while maintaining its quality and client satisfaction levels and significantly growing its profitability. The company is showing signs of business maturity which should provide a secure foundation for its future within the industry sector and is a deserved winner of this prestigious award."